Put the simple, clean performance of the hygienic push paddle towel dispenser to work for you. The push-paddle design allows for hands-free dispensing which helps reduce the risk of cross-contamination. This high-capacity dispenser, which holds an 8" diameter roll, will cut down on labor costs and help maintain user satisfaction. The contemporary design fits perfectly in a variety of market segments including manufacturing, schools and other high-traffic areas. 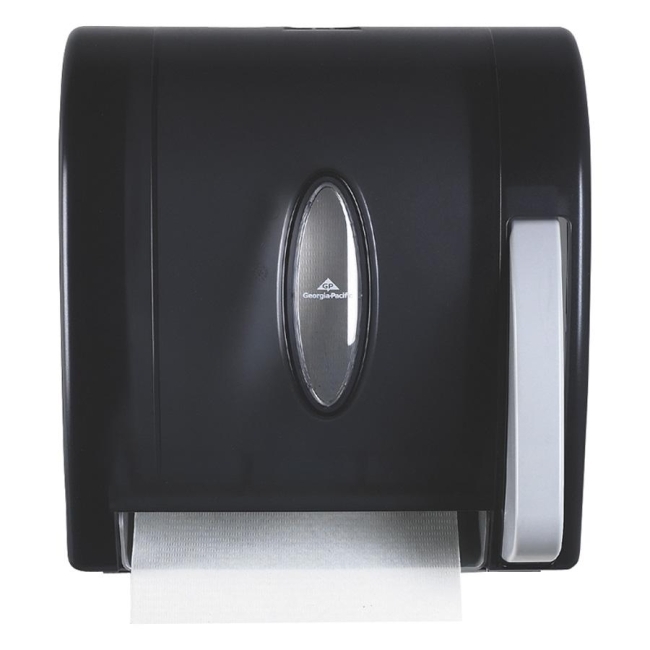 Dispenser meets ADA guidelines when properly installed, giving you peace of mind while enjoying reliable, consistent performance from this dispenser.